INSURANCE COMPANIES SHOULD stop offering customers GP consultations online or on smart phones, says the Irish Medical Organisation. Health insurer Aviva is soon to roll out its first GP consultation service over smartphone, while the IMO claims the VHI is promoting a service called LloydsOnlineDoctor. Speaking about the new initiative that removes the need for patients to meet their doctors face-to-face, the chairman of the IMO GP Committee, Dr. Ray Walley, strongly criticised the move. He warned that it could raise serious risks for patients. The Government needs to step in immediately to prevent these practices happening. These are not medical consultations in any real meaning of the word.There are serious risks of misdiagnosis or prescription errors because there is no proper consultation between patient and doctor and there is no personalised continuity of care. Dr Walley also said there is no opportunity for a doctor to understand the personal and family medical history of a person over the phone or online. 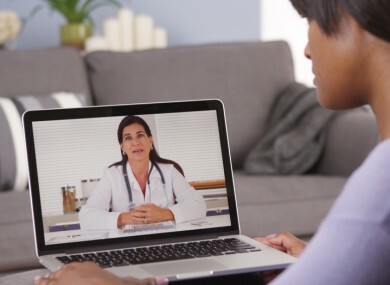 You cannot replicate the experience of a personal one-to-one consultation between a patient and their GP over a phoneline or through a video on a smartphone. GPs work best where there is personalised continuity of care between the GP and the patient and where the GP has the opportunity to meet with and engage personally with the patient in order to fully understand how the patient feels and to examine the patient physically if necessary. He said that as a practising GP he can testify to the countless situations where it would have been impossible for him to diagnose the real medical issues troubling a patient if the consultation had taken place by phone or video. The IMO is calling on the government to call a halt to the practice. He claimed that insurance companies are merely trying to distract attention from their own rising premiums by offering such services. Email “Doctors warn insurance companies off their turf”. Feedback on “Doctors warn insurance companies off their turf”.